March 9: Current Asian Tour Order of Merit leader Marcus Fraser of Australia will be among the star-studded names at the Hero Indian Open next week. He will be joined by Joost Luiten of the Netherlands and South Africa’s George Coetzee, who are among six players ranked inside the top-100 in the Official World Golf Ranking at the US$1.66 million event sanctioned by the Asian Tour and European Tour. Title holder Anirban Lahiri, Tommy Fleetwood, and Marc Warren, are the other players in the top-100. Padraig Harrington of Ireland, a three-time Major champion, is also in the elite field. A whole host of past winners and defending champion Lahiri will also be seen in action. The presence of all leading Indian and Asian stars will ensure the 2016 edition of the Hero Indian Open will be the strongest ever in history. Fraser has qualified to play in the first World Golf Championship, which starts on Thursday ( March 3rd ) at the newly redesigned Blue Monster club in Miami. 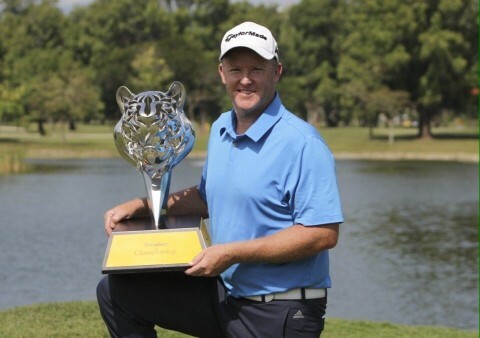 Marcus Fraser won the Maybank Malaysia Championship by 2 shots with a 15 under par total of 269. 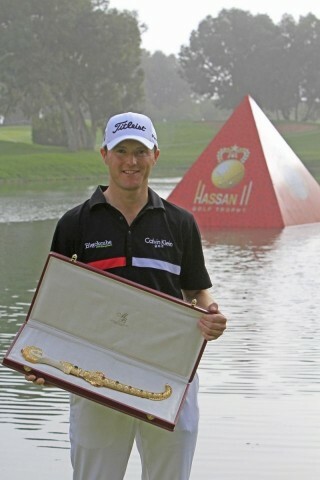 Victory in Kuala Lumpur was Fraser's 3rd career victory on the Euroepan Tour. Fraser moves up to 62nd in the latest World Rankings and he is now 6th on the 2016 race To Dubai. After victory by 2 shots over Soomin Lee, Fraser said "The last two putts were pretty unbelievable. I'm gobsmacked at the moment, it feels great." Marcus 37, from Melbourne has now qualified for the three World Championship events in 2016, the first being next week at Doral in Miami, the Cadillac Championship and also is looking likely to play in the US Open, Open Championship and the US PGA. 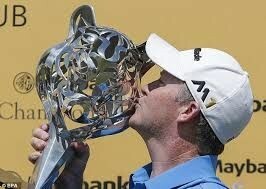 Fraser now heads to Perth to play in the ISPS Handa Perth International, this week. Bridgestone's golf sponsorship brought to life in style. Michael Hoey, who represents Galgorm Castle Golf Club in Northern Ireland finished his 2015 season in Turkey last week by finishing 88th in the 2015 Race To Dubai. Hoey has played 29 events this year, making 20 cuts and has a stroke average of 71.25, it is the 7th consecutive year that he has succesfully regained his full playing privileges on the European Tour. Although the 2016 European Tour season begins in South Africa later this month, Hoey, who is sponsored by Sphere Global will start his new campaign in January at the South African Open at the Glendower Golf Club in early January. 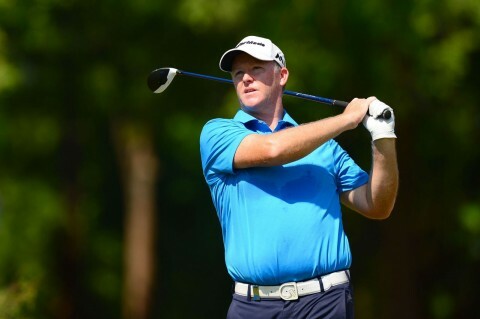 Marcus Fraser finished 57th and Michael Hoey 85th on the Race To Dubai rankings after the Hong kong Open, which was the final regular season Euroepan Tour event of 2015. Both players have now qualified for the first event on the end of season Final Series, the Turkish Airlines Open. The Final Series, which consists of 4 events culminates with the leading 60 players competing in the season ending DP World Tour Championship in Dubai in mid November. Marcus Fraser and Chris Selfridge both shot 68 today, Fraser at the European Tour's Hong Kong Open and Selfridge at the Foshan Open on the Challenge Tour. Fraser heads in to the final round T24 and Selfridge, who needs to finish in the Top 10 to qualify for the season ending Race To Oman finished Day 3 in sole position 5th place. Michael Hoey and Oliver Farr were featured on European Tour weekly tonight, both players are playing in the Russian Open this week, where Michael Hoey is looking to repeat one of his 5 victories that he has had on European Tour.